Woollyhugs > Latest.. > Auction > Spring Auction 2018 > Item 124) Beautiful baby blanket in James C Brett Flutterby Chunky. 124) As light and as soft as a cloud. This beautiful baby blanket is a C2C in James C Brett Flutterby Chunky. 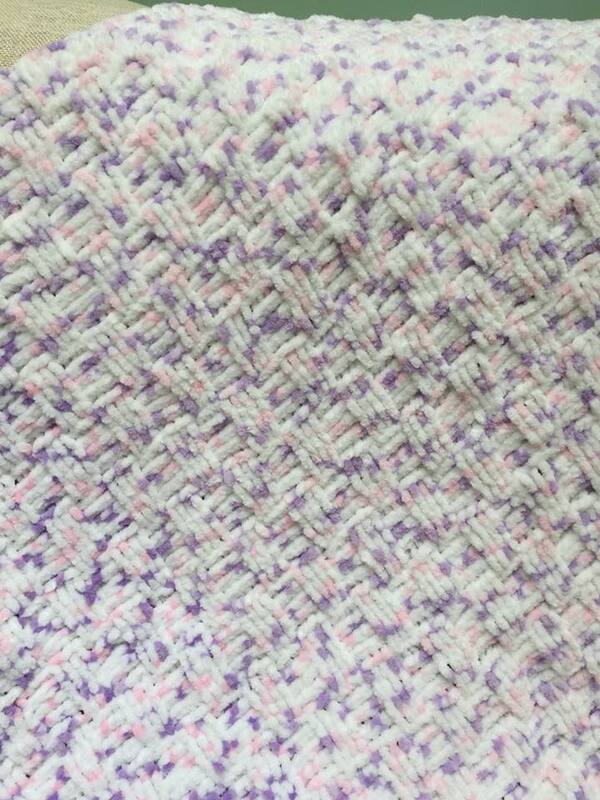 Pink and lavender flecks on white. Approx 80cm by 70cm. Cool machine wash. Dry flat or draped. Gorgeous! 124) As light and as soft as a cloud. This beautiful baby blanket is a C2C in James C Brett Flutterby Chunky. Pink and lavender flecks on white. Cool machine wash. Dry flat or draped. Gorgeous!